Sometimes the most powerful aspect of a character is his absence. Absence not only makes the heart grow fonder, but also more suspicious, anxious, and curious. A great example of this in a published book is Reth in Kiersten White's Paranormalcy trilogy. Kiersten White created a whole cast of compelling characters , but Reth stood out to me as particularly compelling. As I read this book for the first time, I found that if Reth was on stage, I couldn't even put my book down to go to the bathroom! I just knew something incredible/freaky/twisted was going to happen before he vanished again. She limited his appearances: Reth only shows up when it matters. There's no idle chit chat with him. She doesn't show him going to the bathroom (if faeries even do that sort of thing). She showed other people's responses to him: We see the gestures of fear, hear the interior monologue of the MC whenever he's around--and after he leaves. Because we know how Reth makes her feel, we know how he ought to make us feel. She made him round: We all remember from school the difference between a round character and a flat character. Flat is like Dolores Umbridge from Harry Potter. She has no character arc, learns no lesson, makes no great change. She is who she is, and that's an evil pink dictator. Round, like Reth, is a character who is both good and bad, who has depth, who may change at any moment, or whom we are just now getting to know. Through the whole book, I think I know what kind of faerie Reth is, and then Wablammy! My perception of him changes with one well-placed revelation. She gave him a connection to the main character: There's a reason I picked a side character for this little analysis. Main characters are almost always well-developed. We spend the most time with them, creating their back stories, giving them a favorite color, favorite TV show, favorite pet peeve. 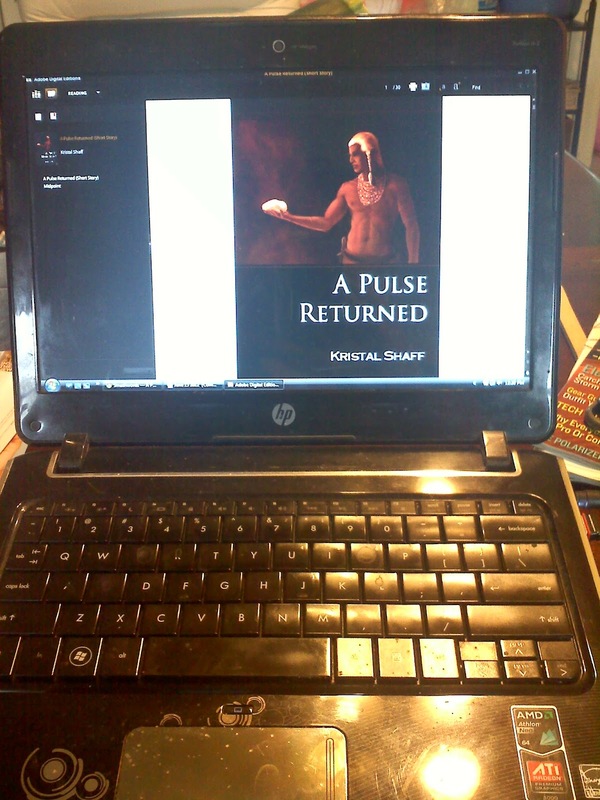 Reth is not the main character in Paranormalcy , but you get the feeling at times that it's his story, too. Kiersten accomplishes that feeling by giving him a very strong connection to the main character. He isn't just a possessive faerie, as he first seems. He's much more to Evie. Even before any grand revelations, we can feel that connection and it makes him important--compelling. Absence is also particularly powerful in love stories. Think Stephenie Meyer's New Moon. After Edward leaves (in order to protect Bella from his dangerous eating habits), she falls into a deep depression. Rather than going on for pages about how depressed she is, Meyer fills several pages with nothing. The only word on the page is the empty month it represents to Bella. The following chapter is called "Waking Up," but even as Bella comes out of the depression to enjoy a friendship with Jacob, Edward's absence remains the driving force in the story. It drives her to an obsession with motorcycles, which brings her straight to Jacob and a relationship that changes all of their lives. In Harry Potter 2, the absence of letters from his friends makes HP's summer particularly painful. 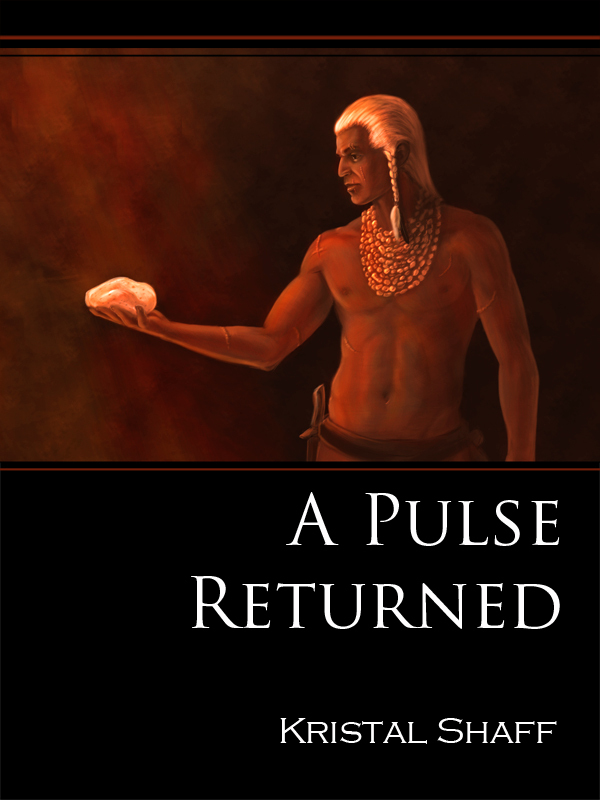 In Book 5, the absence of information and visitors drives Harry to become resentful for the first time in his adventures. Dumbledore's absence is repeatedly used to drive Harry, Hermione, and Ron toward danger. The absence of one or more parents has a profound impact on any character. Some of the best stories have stripped their heroes of all family, leaving them driven either for revenge or to get those family members back. This week I've suffered through the absence of my husband as he works in California and I visit my family post-baby in Utah. Even though I'm surrounded by family, nobody can replace Bill. His absence impacts my every thought and action. My sister is here, a senior airman and military spouse, waiting for her husband's next assignment so they can be together again. For her, it has been much longer than a week. Absence is a powerful force. Think how it's affected your life, and you'll know exactly how to torture your characters. What will you read this weekend? Heads Up #2 - Contest TOMORROW! This is not the contest post. DO NOT post entries on this post. The actual contest will go live TOMORROW SEPTEMBER 1ST AT 10 ET/9 CT/8 MT/ 7 PT. Okay, now down to the basics. First of all, tomorrow's contest will be a little different in that our mystery guest is an editor who will be offering First 10 page or query critiques as prizes! We are really excited to be hosting our first mystery editor and giving our awesome readers the opportunity to win a critique from him/her. 1) Entries must be left in the comments section of TOMORROW'S post, which will go live TOMORROW SEPTEMBER 1ST AT 10 ET (sorry for the caps, I just want to make sure that is very clear :) And remember, please don't email us your entries! They must be entered in the comments section of tomorrow's post) - don't pay attention to the comment numbers. We'll close the contest when we've reached our limit. 2) Please only pitch completed manuscripts. 3) You can only pitch one project. If you participated in previous MA contests, you can enter this one as well. 4) Please include TITLE and GENRE along with your pitch. (This does not count as part of your 140 characters. So, Title, genre, then a 140 character tweet pitch). Genres = MG, YA, and adult fiction (with a special interest in romance). So get those tweet pitches ready and we'll see everyone tomorrow! Good luck! Heads Up! September Mystery Agent Contest Coming!! DO NOT POST YOUR ENTRY HERE. Saturday is September 1st and you know what that means! Contest Time!!! This time, we will be doing Tweet Pitches. That means 140 characters - no more than 140 characters - 140 characters only :) We will be checking this so please please please make sure your entry is ONLY 140 CHARACTERS. As usual, the contest will go live at 10 EST/9 CST/8 MST/7 PST and will close when we've reached 50 entries. The spots have been filling up quick, but if you don't get in, no worries! There will be plenty more opportunities. If the rules (which will be posted on Sept 1st) are not followed, your pitch will be disqualified. Please carefully read the guidelines and follow them. Again, please don't enter the September Mystery Agent contest via this post. Our M.A contests can be entered via a post that goes live the day of the contest (1st of each month). Thank you. See you on Sept 1st! 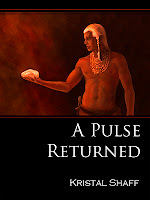 A few weeks ago I dipped into the realm of self-publishing. You can read about it more HERE. Even though I have a book coming out with a publisher next year, I wanted to give it a go, just to see what it was like. I thought I would give everyone an update on how that is going. I started out my price at 1.99, figuring that it wouldn't be a bad price considering it was a fundraiser for our adoption. I lowered it to .99 after poor sales. I also put up a contest on here to GIVE away a copy. (Here) 3 people entered. Another contest on Goodreads that closes today. (Link Here) I'm up to 222 people in the giveaway! However, if you compare it to the others around me, that is a low number, too. I'm not sure if the low interest is because of the cover? I know it isn't the quality of the art (the artist is good), but maybe the subject? Maybe the image is too dark? I also wonder if it is because it is a short story instead of a full-length. And of course, that "self-publishing" is part of it as well. That, in itself, pulls people away. In the spirit of knowledge, could you all share with me what holds you back? This is an experiment/adventure for me. It also tells me how difficult self-publishing can be. For, even with the cause of an adoption behind it, people still turn away. Now, back to the contest. My THREE wonderful entrants. The winner is ....drumroll....ilima! Sorry about the delay in announcing it. I had other events take over my life the last few weeks, which brings me to the second part of my post. Earlier this month, my family took the long drive to visit my father in Alabama. My husband and I both love fantasy fiction, and we took a few audiobooks with us to entertain us on our trip. One of the books was by the author, Brandon Sanderson, one of my favorite authors. If you read fantasy at all, you will know who he is. The book we started was a tomb of a book called The Way of Kings. The book on Amazon is listed as being over 1,200 pages. The audio CD's we checked out at the library consisted of 36 disks. So needless to say, we had plenty of material. We listened to it on the way down AND the way back up from Alabama. After we got back home, my father, who has been battling Leukemia, took a turn for the worse. I sat at home, miles and miles away, holding my cell phone in my hand, waiting to hear from my aunts as my father's health steadily declined. And all the while, I listened to The Way of Kings, using that long, layered story to occupy my mind. Finally, I heard he wasn't going to recover. The doctors gave him days to live. So I bought a plane ticket. And as I traveled back to my father, switching flights, The Way of Kings helped me, taking me away to another world as I looked at the clouds drifting by. When I arrived, the leukemia had gone to his spinal fluid. I'm not sure if he knew I was even there, his mind was so clouded. 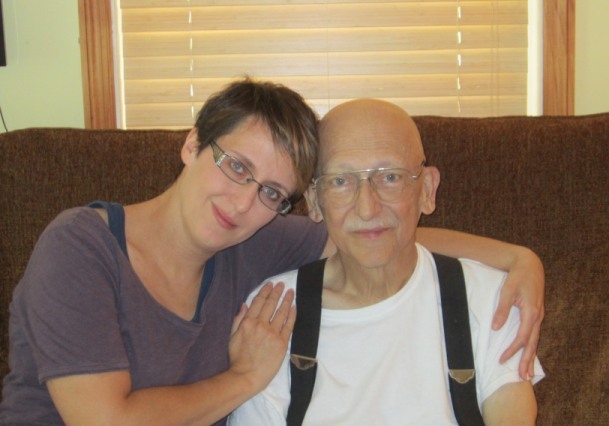 My stepmother and I didn't get much sleep those last two nights of his life at home in hospice care, trying to keep my father comfortable and out of pain. And in the in-between times, laying in the guest room, waiting for my father's life to end, I listened to the story, distracting myself. On Sunday, August 19th, he lost his battle with cancer. And I was at his side as he took his final breath. The funeral was set for nearly a week after his death. It made for night after night of trouble-filled sleep as I waited for the week to drag by. And as I laid there each night, away from home, in a strange bed, thinking about my father, The Way of Kings carried me away from my troubles, helping me fall asleep. My family joined me last Thursday, driving the long trip back to Alabama. After the funeral, we returned to Iowa. Mr. Sanderson helped speed my journey home. And yesterday, my first day home in over a week, the story helped me, giving me a day of rest away from it all. I finished the book yesterday, and I'm grateful that it was there for me, distracting me, taking me away from my grief, even if for a short amount of time. Books teach people. They entertain people. They comfort people. In this instance, a story brought me rest from my pain and grief during one of the most difficult times in my life. It was a LONG story. But I NEEDED a long story during this time. Thank you, Brandon Sanderson, for giving me comfort by doing what you do best. And to my writing friends... You may never know the lives you touch as you do your craft. We do what we do, not only to entertain, but to impact lives. Writing does make a difference, even if it isn't some deeply theological book. That is one reason why I love fantasy, why I read fantasy, why I watch fantasy, why I write fantasy. Fantasy takes you away from the hum-drum, from the pain, from our everyday lives, and takes you far, far beyond. It shows the unfathomable depths and creativity of our minds. My daddy... b November 9, 1943- d. September 19, 2012. You Have Time For Everything. No, Seriously. You Do. So. Time management is a big deal. Not just to writers, but human beings in general. As a human being and a writer, I feel compelled to share my views on this topic. I know, I know. I have it easier than you, right? Well, sure. I do have it easier than those of you with children, spouses, and/or a job. But guess what? It's not about the responsibilities I have or don't have. It's about my attitude. And some days, I just don't want to write. No particular reason is needed. I simply wake up and say, "I don't want to write today." Instead, I want to hang out with my BFFs, or go to the movies, or Google places I'd like to travel to, or read Victorian poetry for my comp exams, or watch episodes of my fave shows, or update my resume. These are all excuses, no matter how valid some of them might seem. In the end, I always miss my story. I always want to jump right back in the next day. And I always try my best to do so. There are lots of people with more responsibilities than me who write every single day. There are those who have more responsibilities than me who write once or twice a week. There are those who insist they're too busy and don't write for long stretches of time. Here's the thing, folks: writing isn't a hobby for writers. Writing is a need for writers, a passion that begs for attention. If you're not aching for that blank page, be it in a Word document or in a notebook, good. Your mind is on other things that matter to you. But writing should matter, too. Work long hours and arrive home super tired? Get up earlier and write whatever you can manage. Dinner needs to be cooked? Brainstorm while cooking, then write what you came up with after the dishes are clean (or let someone else do the dishes!). Need to watch your kids like a hawk? Read to them, or ask them to tell you a story--sometimes being creative in different ways fuels your writing. *shrugs* There are billions of ways to slip some writing into your day, blogging buddies. The trick is believing it and wanting it enough. You don't find time. You make it. Most of us start writing because we love words. But at some point, some of us become obsessed with numbers. How many words did I write? If I need to delete a scene, that will set me back! Is it better to have more bad words than fewer good ones? How many twitter followers do I have? I'm following more than that -- do I look like a loser? How many queries did I send? What's my request percentage? What is the acceptance rate of the agent I'm querying? How many fulls do I have to send before my odds of an offer are good? How long have I been waiting and how what are the odds that that is a good sign or bad one? What's my lifetime number of rejections? Is a high one a badge of honor or shame? How many people visited my blog post? How many commented? Is it worth doing if no one is listening? Google Analytics says someone from NYC visited my blog! Is it an agent? Is it an editor? Are any query responses due (must cross reference with QueryTracker)? What's my Klout score? Why does it say I'm influential in zombies and couponing? How many "likes" do I have on Facebook? Oh no, no one "likes" me! How many adds do I have on GoodReads? How many reviews? How many friends? What's my Amazon ranking? So how many books have I sold? What's my star rating? Oh no, a one-star review! That will ruin my average! When will my royalty statement arrive? What does it mean???? Some of those numbers give us an illusion of control, but only an illusion. Just because you can measure something does mean you control it. Sometimes numbers don't even help you understand something better -- it's easy to get lost in statistics. Lately I've been watching my Google Analytics for signs of life, trying to read the numbers like tea leaves. It doesn't do any good -- I just have to wait for responses, for my book release, for something to happen. And if I can, while I wait, maybe put some words down. I'll try not to focus to much on how many. Symbols are amazing things. Not only will they allow scholars to study your work someday and proclaim your genius, but they reach the everyday Joe or Mary on a personal level, sometimes even on a subconscious one. Some people are expert plotters and can plan these right into the first draft. Not me. I have to weave most of my symbols in later on. It's the fun part of revision for me. It's a great way to insert clues about the story's theme without having a character blurt out a moral (although I did love Dumbledore's adages in Harry Potter). "Pulling on my robe, I follow him through a door into a sitting room. 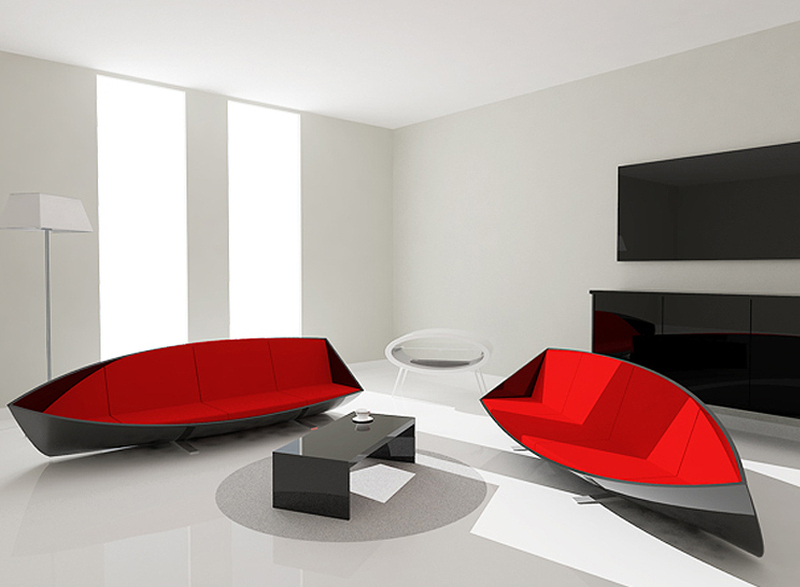 Two red couches face off over a low table. Three walls are blank, the fourth is entirely glass, providing a window to the city. I can see by the light that it must be around noon, although the sunny sky has turned overcast. Cinna invites me to sit on one of the couches and takes his place across from me." If the author of this article hadn't pointed out these symbols, I'd never have given them my conscious attention. They were just pieces of the setting to me after all her introspection about how simple Cinna seems compared to the other designers. But looking at this paragraph in isolation, I see how rife with symbols it truly is. Two red couches face off over a low table. Red = the color of struggle or anger. Facing off. <-- she didn't use these words by accident. Cinna takes the couch opposite her, but it's clear by the surrounding internal monologue that he is not her enemy. The three blank walls draw her attention to the one glass pane overlooking the city. There is her true nemesis. It's about noon, which should be the brightest time of day, and yet the sky has "turned overcast." It isn't just overcast, but has turned overcast. Weather becomes the harbinger of a great change, not only in Katniss' life, but in their shared world. In this moment, already, it's Katniss against the Capitol. Maybe some of these symbols are merely happenstance. The more blatant symbol of Katniss as the Mockingjay is larger than life, and even explained at different points in the books. But these small symbols in the weather, the setting, and the light fascinate me. They reach us on a primal level without the need for conscious analysis. They bring the story to life with detail, yes, but also with depth of meaning. And the great thing is that they're SO easy to slip into your writing in the revision stage. Ravens on the lawn when she leaves her house the morning of the last day of school. The lights go out during a brief power outage that means nothing at the time, yet foreshadows something sinister to come. The flame on the candle seems to lean toward her outstretched finger. Her favorite chair sits beside the window, facing an oversize portrait of her late husband. What's one of your favorite examples of symbolism in story (movies, books, comic books, whatever!)? Late last week, a very good friend of mine from high school unexpectedly passed away. I hadn't spoken to her much in the last few years, other than some Facebook updates, but her death hit me very hard. She had been, at one point in my life, one of my best friends. And though I moved to the other side of the country after graduation, we did keep in contact for several years fairly frequently, and in more recent years, we kept in touch through places like MySpace and Facebook. Friends and family members have been posting lovely comments about her on her Facebook page. Things about how she will be missed and how wonderful she was, how funny and loving and kind she was, those sorts of things. Then this morning, someone posted something different. Instead of posting the lovely but pretty vague usual sentiment, this person posted a long list of specific things that she thought of when she thought of Kendra. Things like how Kendra loved fuzzy socks and hot chocolate. How she made the best bread in the world and liked to dress her girls in striped leggings. How she preferred to sit on the floor, unless you were talking picnic tables - she liked to sit on top of those. How she let her kids play in the mud when other mothers chased their kids away from it. How she liked to play games on her cell phone and reuse things like turning an empty laundry detergent box into scrapbook supplies storage. I absolutely loved reading this list. The other posts were wonderful, but this one...this one really SHOWED who Kendra was. This one painted a picture for me like none of the others did. It was wonderful being able to see the type of person she had grown into. I could picture the high school girl I'd known as this wonderful and quirky woman that was being described. It made me laugh and smile, even while I was choking back tears. In fact, I think I will print the post out because through it I can truly SEE my friend. And because all things in my life eventually get related to writing, it struck me that this is what I need to do with my characters. Yes, having a character who is beautiful and funny and just all around amazing is cool. But what really brings that character to life are the little things, the little eccentricities and quirks that make that character different from all the others out there. I need to make my characters truly SEEN. For me, these types of things aren't something I can sit down and plan out ahead of time. I know many writers who write out character descriptions in the planning stage of their novels. I just don't know my characters well enough until I've gone through at least a draft or two of the story. Some of you may know that I'm a huge fan of realism. Not only is contemporary YA my favorite genre to read (and the trickiest for me to write), I also fall head over heels for fake people who are multidimensional. My absolute faves are the so-called unlikeable main characters. The more my beliefs clash with theirs, the more intrigued I am by them. Exhibit A: Emily Thorne from ABC's Revenge. I'm the kind of gal who let's fate deal with people. I don't make it a point to bring down anyone (unless they badmouth Jensen Ackles. Because that is a SERIOUS OFFENSE, folks!!). Emily Thorne, whose actual name is Amanda Clarke and is seeking to avenge her father's death and wears awesome clothes and I think is Batman's illegitimate daughter, disagrees with me. She's like, "Pffft! Amparo, you are LAME. Someone does something bad to you? GET EVEN. *cackles*". I am both appalled and fascinated by this woman. I love her even when I dislike the crap out of her. I want to slap her across the face and hug her at the same time. And that's what makes Revenge such an awesomesauce show to me. Emily/Amanda feels the same things I feel when someone does me wrong (anger, resentment, a need to wear awesome clothes), but we choose to react differently. We choose to be who we are to the fullest (I am slightly fierce while she is OH SO FIERCE). At the end of the day, Emily/Amanda isn't asking me to like her. She wants me to understand her, which I totally do. So pretty please, writing buddies, don't write the characters you wish you were. Write real people in a world that doesn't exist. Even if that means writing about real people you disagree with. Now tell me: are you writing--or have you ever written--an unlikeable main character? If so, what were the most difficult things about him/her? AND ARE YOU WATCHING REVENGE BECAUSE OMG??? Lately I've been having some contest anxiety -- it's really hard to put your work out to be judged in public. And yes, that's a strange realization for me, as a blogger of Operation Awesome, which is best known for the Mystery Agent contests. Confession and credit due -- the Mystery Agent contest was Katrina's idea, and it was driven by all the other wonderful women of Operation Awesome, especially Amparo, Lindsay, and Kristal. When the contest launched in September 2010, I wasn't even sure whether it was a good idea. But it was a brilliant idea! We've had a lot of great agents help out, and we've had success stories -- winners who've gone on to get offers and contracts. But I'm here to praise the entrants who didn't win. Because those writers deserve praise for putting themselves out there and taking the risk. Because when the contest launched, I had an agent. I don't have one anymore. I can't enter our Mystery Agent contests, but I've entered others. And mostly I have lost. Sometimes it's worth a shrug -- nothing ventured, nothing gained -- but sometimes it feels like every agent in the world has simultaneously seen your query and rejected, while everyone else you know is watching. Of course it's not really like that. Of course contests are fallable and limited. One of my good friends suffered from a high-profile contest entry that gained her zero agent requests -- not even any comments. It threw her into a spiral of writerly despair -- probably the lowest point I've seen for her. The only thing that pulled her out was an agent offer -- then an agent cage fight, with multiple agents competing to represent that very same book, just weeks later. Oddly, the fallability of contests is why I think they're worthwhile -- because querying is fallable too. On any given day that an agent reads your query, she might be in an awful mood. She might have suffered a crushing defeat with a client in your genre. She might have blisters from breaking in new shoes or her office neighbor might be eating a really stinky lunch at his desk. And you get a rejection. So a contest is another chance, and you never know. Maybe your pitch attracts an agent's attention when a query didn't -- or vice versa. And there's this: I think when agents look at their queries, sometimes they're looking for reasons to say no -- wouldn't life be easier with no new fulls to read? But in a contest, SOMEBODY is going to win. Why not you? So keep entering, OK? If you can be brave, I can be too. What are your thoughts on contests? How hard is it to put your work in public? Why do you do it? John Cusick from Scott Treimel NY! For sixteen-year-old Alex Tanner, finding a webpage of himself five years into the future is totally cool and all until he logs on one morning and his status reads: DECEASED. This is a great pitch: it describes both given circumstances, and a complication. It leaves me wanting to know more while still relating the conflict and giving me a sense of the story. The ‘totally cool” also hints at a light-hearted tone, which I like. I love stories that introduce weird and fantastical elements into our contemporary world. The use of a website, rather than some ancient rune or talisman, also ads a fresh, modern flair. I can’t wait to read it! Please be sure to put "Operation Awesome Contest Winner" in the subject line. But that's not all. John picked out 3 other pitches he'd love to read more of. Here are John's runners-up! Mark Twain probably didn’t mean to be a big fat liar, but eleven-year-old Becky Thatcher is about to set the record straight on facing outlaws in the cemetery, stealing from Witchy Widow Douglas, and clearing an innocent name…all while ditching the biggest tattle-tale that ever lived—Tom Sawyer. I’m so intrigued by this concept. I love retellings of familiar tales, and tackling such a boy story from a female point-of-view is so intriguing. I’d love to read the first 50 pages. Gretel needs to save her brother from a witch, but it may mean becoming a wicked witch herself. In my classes on writing I often teach an exercise that involves reimagining Hansel and Gretel, so I’m eager to see this author’s take. Please send the first 25 pages! When a privileged teenage boy learns the horrific truth behind a miracle drug that prolongs the life of the rich, he must try to bring down his parents' company from the inside. Another example of a great pitch: the story and conflict are hinted at without being over explained, and what makes this story unique (the miracle drug, the theme of aging, the class issues) is all right there. I’d love to read the first 25 pages. 1) What are some of your pet peeves for queries? I like queries that simply describe the manuscript using clear, precise language. Gimmicks, jokes, and “clever” queries won’t get you noticed— at least, not in the good way. I’m not a fan of rhetorical questions, such as, “What if you knew your boyfriend was Satan?” Queries written in the protagonist’s voice are another pet peeve. 2) What are you seeing too much of in your query inbox lately? What would you like to see more of? Generally, I see too many books about demons, dark lords, the occult, and the afterlife. We receive many queries about teens tasked with saving the world or universe. Also, teens with super powers, specifically the ability to predict the future, or when and how someone will die. We see too many prescient visions and dreams. Also, I see a lot of characters working for Death, the Devil, or generally having some kind of Cosmic Day Job. For contemporary y.a., we also receive many stories about a best friend or boyfriend dying, either in a car accident or from mysterious circumstances, and resulting secrets that are unearthed. You can try what I call the “Chunk Down” method. Summarize your book in three paragraphs. Then try cutting it down to two, then one, then to just a few lines. If your story is a small town murder mystery, make sure to mention what makes your work different from all other small town mysteries. Don’t be too coy; if your protagonist discovers “a dark secret,” I want the pitch to tell me what that secret is. In other words: spoil it for me. 4) If you could pick one book that every writer should read, which one would it be and why? Stephen King’s On Writing gives the most practical and fulsome advice, not just on craft, but on the writing life. For fiction, especially fiction for young people, Tuck Everlasting by Natalie Babitt is one of the best books ever written. The opening pages are genius, and can be studied line by line, word by word. Highly recommend! This year the agency signed several new clients, and I myself took on six, including Bettina Restrepo (Illegal, Katherine Tegen Books, 2011) and Hannah Moskowitz (Gone, Gone, Gone, Simon Pulse, 2012). Several of our picture books are getting multiple starred reviews and some great critical attention, such as Ame Dykman’s Boy + Bot (Knopf, 2012), Maurie Manning’s Laundry Day (Clarion Books, 2012) and Rick Walton’s creepy/kooky Madelien parody Frankenstein (Feiwel & Friends, 2012). And we’re always actively seeking new talent! Thank you to John for being our August Mystery Agent. Labels: August Mystery Agent Reveal, Lindsay, Writing. My fellow Entangled author, Laura Kaye, wrote an excellent post on 4 Ways to Read an eBook Without an eReader. I've heard many people say that they can't read ebooks because they don't have an eReader. But eReaders aren't necessary to enjoy all the amazing ebooks out there. For instance, the ePub and pdf versions of ebooks can be downloaded right to your computer, and Kindle and Nook both offer FREE apps for various devices. Be sure to head to Laura's blog to check out the full article! Remember, though I am not world famous author, I do have a book coming out at the end of next year. You never know. Maybe they will be worth something someday. A collector's item, perhaps?? Or maybe not. lol... Still, they are FREE. I opened a giveaway on Goodreads where I am giving away 3 hard copies. You can find it here. It closes in two weeks, on August 29th. I am also giving away one hard copy here on Operation Awesome. You can enter by commenting in this post. :) I will announce a winner this time next week. If you don't feel like waiting for the contests to close, you can purchase a copy on Amazon. The kindle edition is available for a limited time for $0.99. Remember, it does go for a good cause. And lastly, if you haven't stopped by WriteOnCon...do so now. After hearing about WriteOnCon, a free online writing conference kicking off tomorrow, Olympic medalist/ swimmer Ryan Lochte invited correspondent Amparo Ortiz to London for an exclusive interview. Amparo: "Thank you so much for having me, Ryan. How are you today?" Ryan: "First of all, let me say a quick hi to my fans." Amparo: "Um, Ryan? Sorry to interrupt, but-"
Ryan: "Wait, I missed a spot." Amparo: *lunges at Ryan* *sits him down* "Okay. Now that you got that out of the way, let's discuss a topic near and dear to your heart." Amparo: *closes eyes* "No, no. Not that. I was referring to what you invited me here for." Amparo: *opens eyes* "NO! Ryan! Keep it together! We're here to discuss WriteOnCon, remember?" Ryan: *lets go of shirt* "Oh, jeah! Sorry. I distract myself all the time." Amparo: *cringes at the substitution of 'y' for a 'j' in the word 'yeah'* "So. WriteOnCon. I understand you're a secret fanboy." Ryan: "Jeah. WriteOnCon is, like, the best. I love it 'cause it's about writers giving back to other writers. It's free, too, and you know me, Amparo. If it's free, I'm, like, totally there." Amparo: "Yes, I can see why something free would appeal to you. But I'm sure our readers at Operation Awesome want to know: why is Ryan Lochte so invested in the writing community?" Ryan: "Well, it's pretty simple. I wear these sick glasses..."
"...and they make me look, like, really smart and stuff. 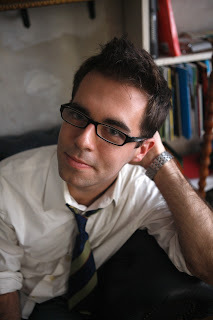 Then one day, I realized writers wear glasses, too, you know." Amparo: *blinks* "Not all of them wear-"
Ryan: "And they look really cool with them on. Then another day, I realized that not only do writers wear glasses and look cool, but they also, like, spend a long time writing." Amparo: "Yes, that's why they're called writers, Ryan." Ryan: "Exactly! So then some other day after that, I realized writers wear glasses, look cool wearing them, they write a lot, and they sweat, you know. Like, not like I sweat 'cause I swim all day and stuff. But writers? They work really, really hard. As an athlete, all I know is hard work. But I also only know what success is like if I get a medal, or beat my best time. Those writers who attend WriteOnCon? They taste success in all sorts of ways: finding the courage to post their work in a public forum, striking a connection with a potential critique partner, learning valuable tips about their craft, getting positive feedback on their query/first 5 pages/synopsis, and requests from ninja agents/editors. WriteOnCon is more than a free online conference. It's a slice of success after all that hard work. Sure, there's more hard work after the conference is over, but at least writers can have some fun before going back to sweating." Amparo: *drops jaw* "Wow, Ryan. That was really deep and lovely and-"
Ryan: "OH MY GOD I HAVEN'T SHOWN YOU MY SICK DANCE MOVES YET"
*I'd like to thank Ryan Lochte for his time, despite him chasing after me in his Speedo while singing the Bad Boys theme song with his grill on. I am currently accepting donations for therapy. **Don't forget: WriteOnCon starts TOMORROW! 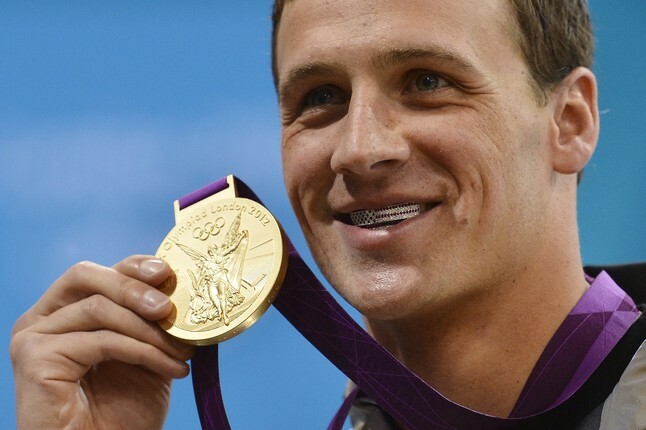 Make Ryan Lochte happy and check it out. The other day I was discussing some fantasy trilogies I recently read (Lynn Flewelling's Tamir Triad, starting with The Bone Doll's Twin and Juliet Marillier's original Sevenwaters trilogy), and my friend asked me where I found time to read so much. I told her I've been outlining a fantasy, and before I write, I feel as if I need to read everything important in the genre first. And that's impossible, so then I never actually have to write! The twist is that my friend is currently weighing agent offers for HER fantasy, which she wrote while I was reading all those other books. I think she spent her time more productively -- especially since now I get to read the product. Instead I use reading and research as a clever procrastination method so I feel like I'm accomplishing something even when I'm not (but it sure it fun). This reminded me of a few recent discussion among English teachers who believe that the best way to teach is output instead of input -- writing instead of reading. And then I recalled a casual survey among writers about which they could more readily give up, writing or reading. I was surprised that many answered reading -- something I could never relinquish willingly, although I have stopped writing for periods of months and years. But reading is my PASSION -- it's how I learn, soothe myself, escape troubles, and entertain my mind. It's my oldest and most dependable friend, and a life without books would seem bleak indeed. Still, I currently have three or four partly researched, partly outlined novels that I never feel up to writing, but sometimes you must just WRITE. Which would you give up if you HAD to choose -- reading or writing? It's what makes the world go 'round. If you don't feel like your writing is going to do anything for you personally or for someone else (like a prospective reader), why write? For many of us, the motivation to write is as simple as this: we love doing it. But what motivates you on those days when the love is lackluster? The answer is totally personal, so if you don't have an answer to this question, get one. If all else fails, promise yourself chocolate. 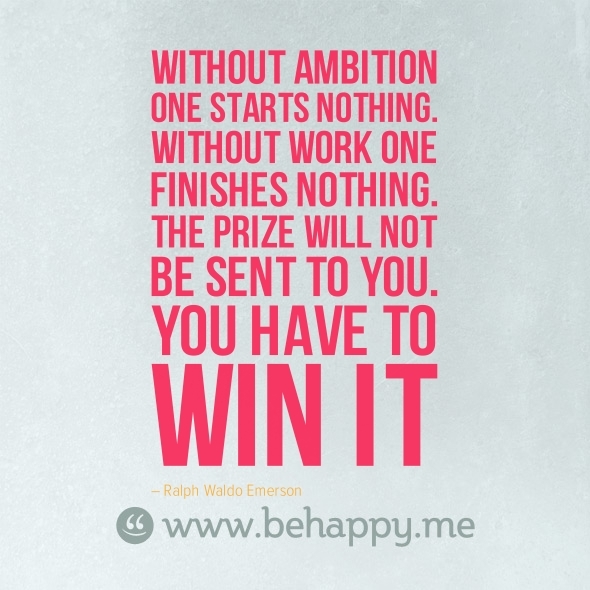 I'm not particularly talking about the high-flying ambition that drives people to become valedictorian or MVP. 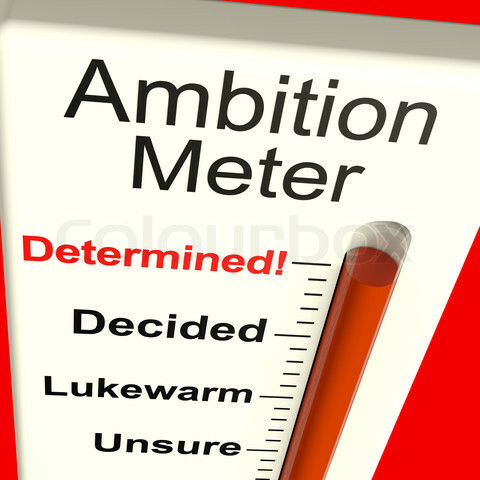 I'm talking about the very basic ambition that drives you to set a goal - any goal - and actually work to reach it. It doesn't have to be glitzy, although allowing yourself a few glamorous dreams can be fun. 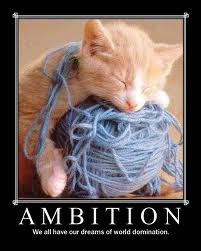 Ambitious artists are artists who produce because stopping would mean putting a halt on their dreams. 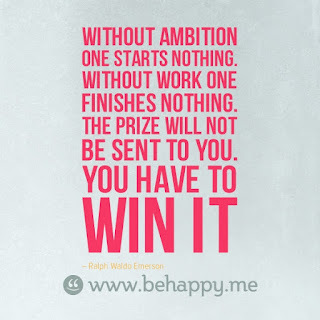 So if you don't have a goal, set one. Then tie it to your motivation above. For example, I want to get my middle grade superhero book in shape to publish (ambition) because I wrote it for my sons and can't wait to share it with them (motivation). You've probably noticed the link between these three words by now: it's ENERGY. Art requires energy. You need a muse (motivation), a goal (ambition), and a whole lotta love (enthusiasm) to get your project from an idea to a complete work of art. 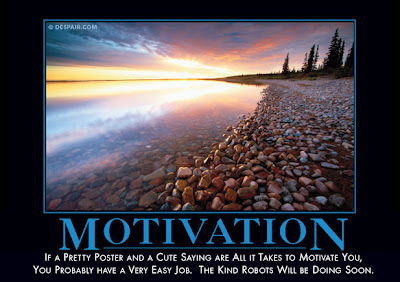 Without enthusiasm, the other two won't quite be able to get you up out of bed to write. 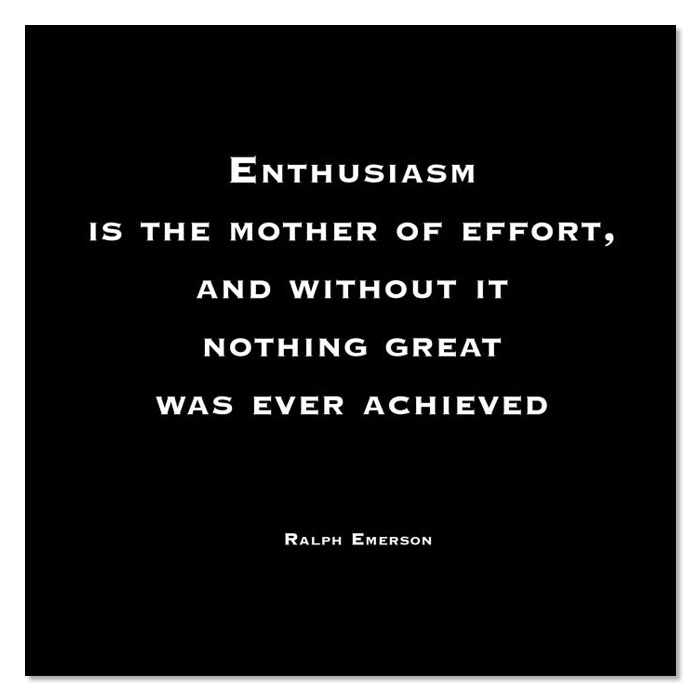 Enthusiasm is an intangible, like love. You know it when you feel it. But where do you get it if you've run out? Well, that's what Operation Awesome was created for! 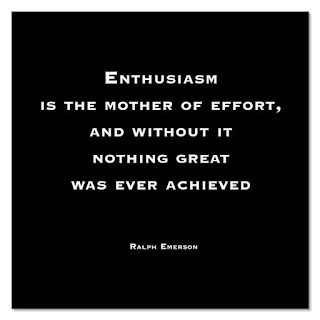 The writerly blogosphere is a great place to find the enthusiasm you're missing. Another great resource for enthusiasm is writing conferences. There just so happens to be a free, online writing conference next week! If you're missing one of these elements in your art, I hope you'll take advantage of WriteOnCon, and writing blogs like this one, to help you find your passion and drive again. I've been writing a lot of synopses lately so I'm always on the look out for new ways of tackling them. A fellow Entangled author, Bronwen Evans, shared a template with our group the other day for character-driven synopses. As a romance writer, this works great for me because romances focus on their characters. So, while my usual method of focusing on the inciting incident, turning points, climax, resolution works wonderful, I think this method will be useful as well. The template Bronwen shared was more geared toward romance specifically so I tried to adapt this a bit to be more universal. Identify a theme: Finding a theme and sticking to it helps you reduce the book down to a three page summary. It eliminates the 'laundry list' syndrome where every scene is given one sentence. STAY FOCUSED: KISS (Keep it Simple Stupid) The trick is to focus on the key plot points and turning points of the book, NOT the secondary plots and characters. STEP #1 THE HOOK: Either a unique opening line in the first character sketch, a bold opening to the heroine/hero, or a snappy/humorous/opening line overviewing the book's premise. STEP #2 INTERNAL CONFLICT: Describing relevant back story and the key internal conflict main character(s) must overcome. You want to focus a bit on the layers here - the past relationships/events/trauma that has molded your character and made her/him who she/he is. This internal conflict will be overcome in a black moment, when your character realizes her/his weakness/fear and leaves it behind in order to overcome his/her main obstacle. STEP #4 HERO AND HEROINE WORK TOGETHER: First plot point is usually the one that makes the hero and heroine temporarily overlook their differences and work together. STEP # 5 INTIMACY: The forced contact of working together and of course, raging attraction, make the hero/heroine succumb to physical intimacy - whether it be the first kiss, or making love, whatever suits you at this point. STEP #6 THE MORNING AFTER: Hero/heroine promptly remember all their fears, fall back on their INTERNAL CONFLICT and reject each other. STEP #8 is the SHOWDOWN/BLACK MOMENT: This is the PLOT POINT/ TURNING POINT where you need a big showdown to bring everything up to a high tension level. STEP # 9 is the RESOLUTION: The bad guys are now revealed/caught. The situation changes and is reversed. The Hero/Heroine are reunited. This template is great for more character driven stories, especially romances (and good for plotting your book out if you like to outline before writing). The advantage of this type of story outline is that it uses the external conflict to develop your characters' relationship with each other. It also focuses on the layers of your characters and their journey to self-realization. It's almost time for WriteOnCon 2012. "WriteOnCon is an Online Children’s Writers Conference (rated MC-18, for Main Characters under 18 only) created by writers, for writers. The schedule is live on the WriteOnCon website. I also recommend joining the forums where some of the live events will take place. You can meet other awesome writers and share your work on the critique threads. You might even get feedback (or a request) from one of the Ninja Agents stalking the boards.